Site webmasters are able to integrate School Loop and Google Calendars such that Google Calendar events are displayed on a School Loop website calendar. This feature is not available to non-webmasters. Click the link for the Site Center located in the Toolbox on your portal homepage. Click the Manage button for Google Calendar Integration. Click the link to Integrate with Google Calendar. Follow the on-screen instructions for Google's connection process - Once connected, a list of available calendars will be displayed. NOTE: You must be the owner of the Google Calendar to be able to integrate with School Loop. Check the box for each Google Calendar you wish to include. Return to the Google Calendar Integration page. 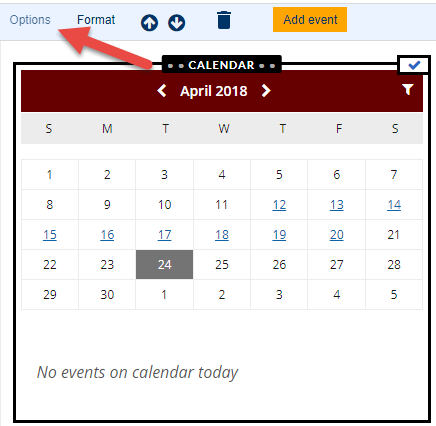 If you wish to remove all Google calendar events from your School Loop site, uncheck the boxes next to the calendars and click the Submit button. Click the link to Disconnect from Google Calendar. From the Site Center, edit any page with a calendar module. Click on an existing calendar or add one. In the toolbar, choose Options. Check the box next to any or all of your available calendars. Each webmaster can only connect to one Google Calendar account, but each webmaster can connect to a separate Google account. Each webmaster's calendars will be available to all webmasters of that site. Only the webmaster who added an account can disconnect that account. When the integration is complete, events from Google Calendars starting from that moment forward will be displayed in School Loop. Past events will not be synced.